Telok Kurau is an established residential zone that grew from an old fishing village into a blissful suburban neighborhood. Despite being one of Singapore’s older districts, it happens to be very well-planned, having streets that run neatly parallel and perpendicular to each other. 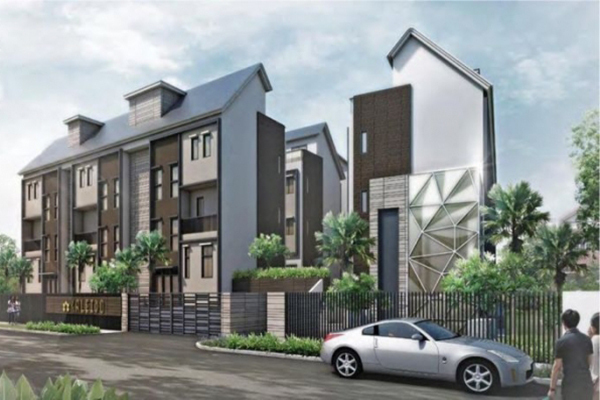 The estate is populated by landed homes and shop houses, fostering a pleasant setting for community and family living. 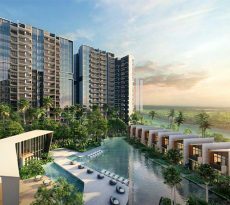 Making it even more ideal are the surrounding malls, schools, and various facilities, not to mention the nearby East Coast Park. That’s why Telok Kurau in District 15 is very appealing, both among property developers and home buyers. 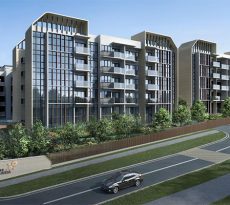 In Lorong K Telok Kurau emerges a new development to keep your eyes on. Kaleido is a cluster housing compound with 14 freehold units, brought to us by Amerald Land Pte. Ltd. Still to be completed, it will be ready by 2017. Kaleido offers spacious strata homes suitable for multi-generational families. Three floors, plus an attic and a basement, every unit provides ample room for a large household. It has enough space to encourage members of the family to interact and bond, and even allow each individual some privacy and personal space. Daily life is made even easier with the private lift and the two-car basement garage. A touch of class is achieved by the Art Deco-inspired design by Kyoob Architects. It’s a delightful blend of color and bold geometric forms, conveying urbane elegance as well as cozy comfort. Being a freehold development, it’s important to present a classic, timeless structure that can be passed on to the following generation. With all these, home isn’t just about the space of residence itself; it’s about the relationships and the moments shared with one another. That’s why Kaleido also offers facilities where families can spend time together, including a swimming pool, a pool deck, a themed courtyard, and a barbecue area. It also has a gym, a jogging track and other trappings to make life even more of a joy. What’s more, the district is one big lifestyle offering, with its selection of recreational areas and others. A number of shopping malls dot the District 15 map beginning with Parkway Parade and 112 Katong. There’s also Changi City Point and the upcoming KM Mall. All around are a variety of eateries, from lovely cafes to fashionable restaurants, everyday street food to posh wineries and artisanal shops. 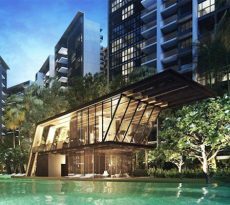 If you love the outdoors, you’ll love living so close to the East Coast Park – it’s a beach, a food haven, a play area, and an easy escape from daily life. Also within a close drive are Marina Barrage and Gardens by the Bay. Not too far away are centres of commerce, like the Marina Bay Financial District, the Central Business District, and the Changi Business Park. And if you’re the jet-setting company man type, you’ll appreciate living close to the Changi International Airport. Your children will also benefit from the large selection of schools so close to home. There are primary and secondary schools, all-boys schools and all-girls schools, international and special education schools. Take your pick: Ngee Ann, Tao nan, CHIJ Katong, St. Patrick’s, St. Stephen’s, TKPS, TKGS, Chung Cheng High School, Victoria School, Temasek JC, Victoria JC, and so on. And even though the location is so near the coast, it isn’t at all isolated from the other parts of the island. It’s quite easy to travel to and from the area, as it’s near several main thoroughfares like the Pan-Island Expressway, the East Coast Parkway, East Coast Road and Still Road. On those days when you’d rather take the train, you can head for an East-West journey at the Kembangan MRT Station. If you’ve been thinking of buying a new home for your family, think about this: Kaleido has all the important points covered. Comfort – check. Convenience – check. Serenity – check. Well-being – check. Recreational options – check. Schools – check. You can check “affordability” as well, if you’ve got the right financial planning. On that department, things can be much easier for you if you have an easy way to compare home loan Singapore. And that’s what iCompareLoan mortgage broker specializes in.